Vibration White Finger (VWF) or “Dead Finger,” now known as Hand-Arm Vibration Syndrome (HAVS), is a chronic, progressive disorder caused by regular and prolonged use of vibrating hand tools that can progress to loss of effective hand function and necrosis of the fingers. In its advanced stages, the obvious symptom is finger blanching (losing color). Other symptoms include numbness, pain, and tingling in the fingers, as well as a weakened grip. The time between a worker’s first exposure to hand-arm vibration to the development of HAVS symptoms can range from a few months to several years. Prevention is critical because while the early stages of HAVS are usually reversible if vibration exposure is reduced or eliminated, treatment is usually ineffective after the fingers blanch. This entry was posted in Uncategorized and tagged Hand-Arm Vibration Syndrome, HAVS, Vibration, Vibration White Finger, VWF on February 13, 2017 by Edgar Romano. Engineered stone countertops, a popular fixture in today’s homes, pose a health risk to workers who cut and finish them. The danger stems from the material the countertops are made from, processed quartz, which contains silica levels up to 90 percent. Silica is linked to a debilitating and potentially deadly lung disease known as silicosis, as well as lung cancer and kidney disease. While the countertops do not pose a risk to consumers in their homes, they do pose a risk to the workers who cut and finish them before they are installed. When the countertops are cut, silica particles are released into the air, which when breathed in by the workers can start processes leading to silicosis. Manufacturers of the engineered stone countertops assert that worker hazards can be reduced through the use of protective respirators and equipment designed to trap silica dust. Despite this assertion, many safety precautions taken by employers are often inadequate. The first documented case of silicosis among countertop workers in the United States was reported two years ago. In countries such as Israel and Spain, where engineered stone products gained their popularity, many more countertop workers have been diagnosed with silicosis and have had to undergo lung transplants. The danger of silicosis in the construction industry led OSHA to recently issue new rules requiring construction workers’ silica exposure to be reduced by 80 percent beginning on June 23, 2017. This entry was posted in Uncategorized and tagged silicosis on January 30, 2017 by Edgar Romano. LAPORTE, Texas —Four workers killed by a lethal gas in November 2014 would be alive today had their employer, DuPont, taken steps to protect them, a U.S. Department of Labor investigation found. The department’s Occupational Safety and Health Administration today cited DuPont for 11 safety violations and identified scores of safety upgrades the company must undertake to prevent future accidents at its Lannate/API manufacturing building in La Porte. The company employs 313 workers who manufacture crop protection materials and chemicals there. "Four people lost their lives and their families lost loved ones because DuPont did not have proper safety procedures in place," said Assistant Secretary of Labor for Occupational Safety and Health Dr. David Michaels. "Had the company assessed the dangers involved, or trained their employees on what to do if the ventilation system stopped working, they might have had a chance." The fatal incident occurred as one worker was overwhelmed when methyl mercaptan gas was unexpectedly released when she opened a drain on a methyl mercaptan vent line. Two co-workers who came to her aid were also overcome. None of the three wore protective respirators. A fourth co-worker — the brother of one of the fallen men — attempted a rescue, but was unsuccessful. All four people died in the building. This entry was posted in Uncategorized on July 16, 2015 by Catherine Stanton. Where would I be without the work I love? There is nothing more rewarding to me than working on behalf of American workers. Serving U.S. Labor Secretary Thomas Perez is both an honor and a joy, and I’m proud of what I’ve accomplished as a public servant in the Clinton and Obama administrations. The work is exhilarating, and it has become a central part of who I am. But there was a time when it could’ve been taken from me in a heartbeat. Just because of another, equally central, part of who I am. What is now unthinkable for me was a bitter reality for Frank Kameny. A Harvard-educated astronomer and war hero, Kameny was fired from his U.S. Map Service job in 1957 simply because he was gay. He never worked for a paycheck again. Many know Frank’s story here in Washington, where he made his home and ran as the first out congressional candidate for the district’s seat in 1971. But he is less celebrated in other parts of the country. Here at the Labor Department, we’re going to change that. On June 23, we are inducting Frank into our prestigious Hall of Honor. This entry was posted in Uncategorized on June 22, 2015 by Edgar Romano. Today’s post is from In These Times via our colleague Jon Gelman. 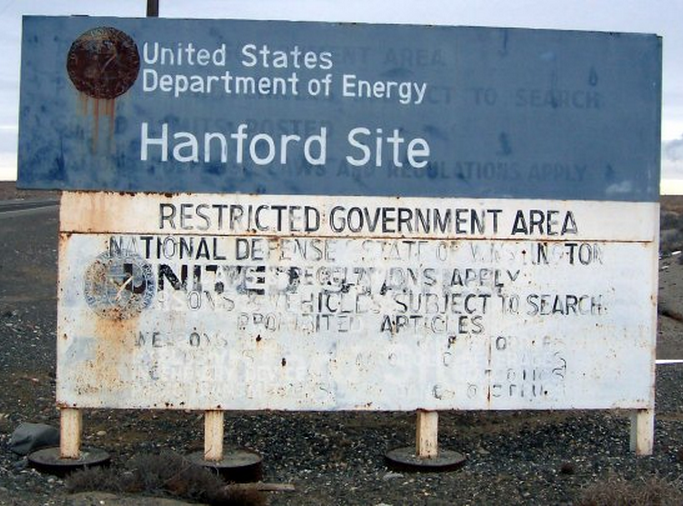 Since March 2014, nearly 60 workers at the Hanford Nuclear Reservation in Washington state have sought medical attention for on-the-job exposure to chemical vapors released by highly toxic waste stored at the site, some as recently as August. At a public meeting held Wednesday in Pasco, Washington, Hanford workers described symptoms that include chronic headaches, respiratory problems, nerve damage and bloody urine. The meeting, hosted by the United Association (U.A.) of Plumbers and Steamfitters Local 598 and Hanford Challenge, a Seattle-based environmental watchdog group, was convened following the February 10 release by Department of Energy contractor Washington River Protection Services (WRPS) of a “corrective action implementation plan.” This plan was developed in response to recommendations in a report from the Savannah River National Laboratory released in October 2014. This entry was posted in Uncategorized on April 30, 2015 by Edgar Romano. As President Obama and Secretary Perez have said, raising the minimum wage isn’t just the right thing to do for working families it’s the smart thing to do to grow our economy. And business leaders of all kinds agree, saying that they see higher wages as a sound business investment. They know that higher wages boosts productivity and reduces the high costs associated with turnover. They also know that consumer spending drives our economy; more money in people’s pockets means more customers for them. Add it up, and reduced training costs and more customers can grow a business, and create jobs. That’s why these businesses, large and small, have all taken steps to raise their starting wages. While progress is happening with more and more businesses raising their starting wages, and states and localities are taking action, the national minimum wage still needs to be raised. For too many workers in too many states the harsh reality is that the minimum wage has languished and lost ground for more than 5 years. It’s important that Congress take action so that we don’t leave them behind. Share these graphics if you agree it’s time to #RaiseTheWage. This entry was posted in Uncategorized on April 27, 2015 by Catherine Stanton.